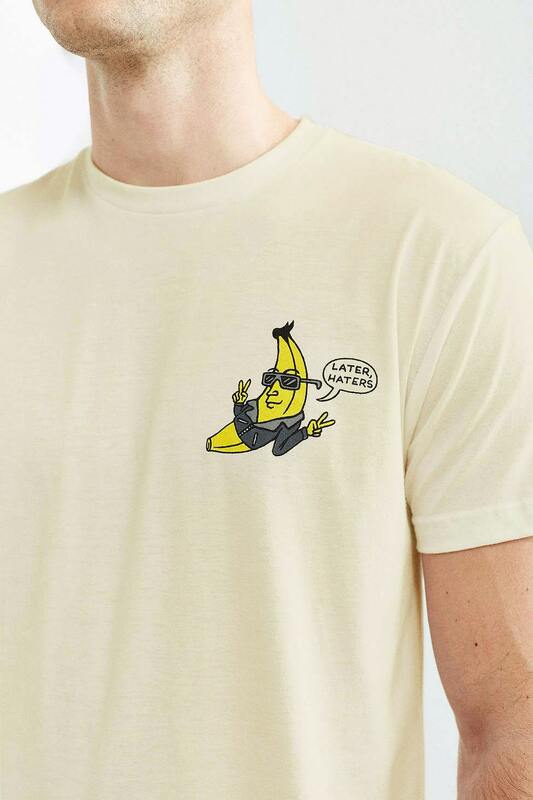 UNISEX sizes, high quality ring spun cotton. Front and Back printing with printed label. Please specify cream or white color. 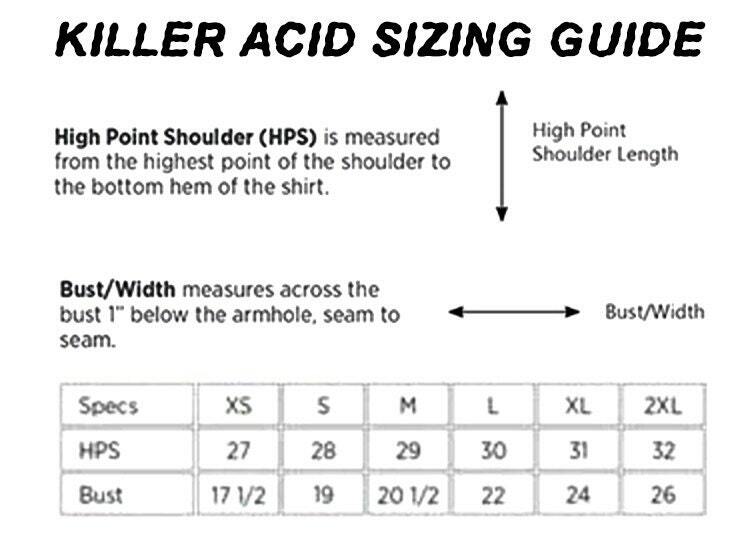 See photos for size chart. 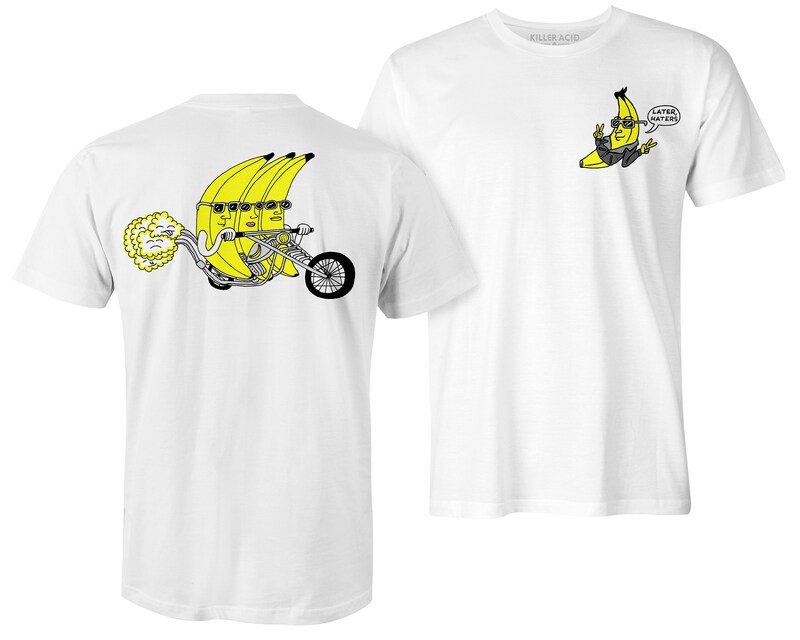 Fast shipping and quality shirt!! 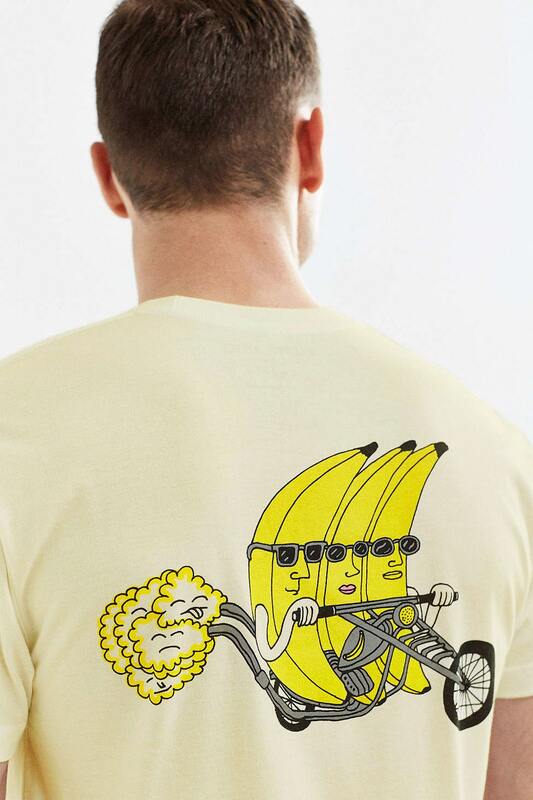 Plus, duh, coolest design ever. 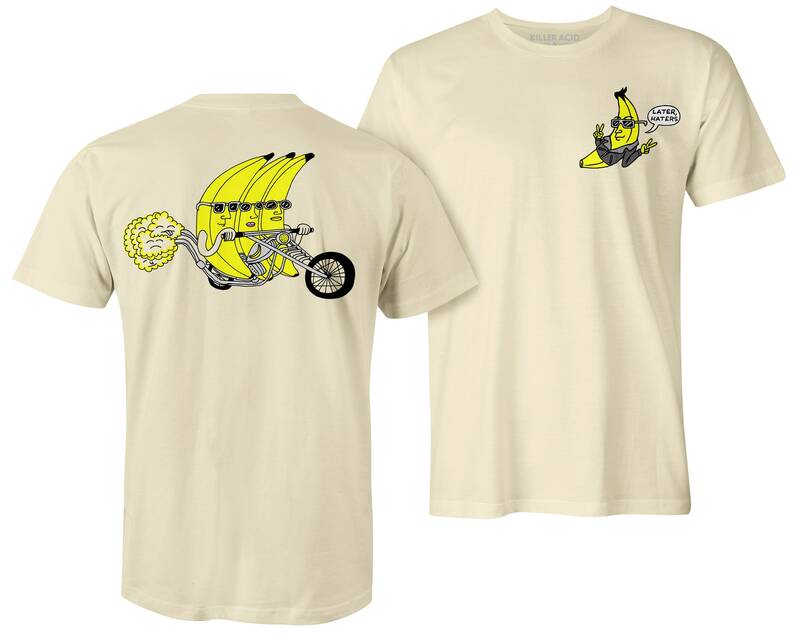 Everyone needs a shirt with bananas riding a motorcycle on it.